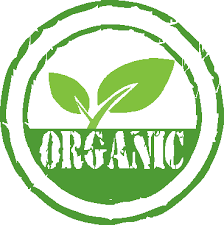 The USDA organic label is backed by a certification system that verifies farmers or handling facilities located anywhere in the world comply with the USDA Organic Regulations. To help farmers, ranchers and processors learn how to be certified and access USDA related programs see the USDA’s new Organic Literacy Initiative. Featured is a toolkit for certification that outlines five steps from developing a plan to final certification. Learn more about Organics 101: Five Steps to Organic Certification. USDA has also established a number of resources to help organics producers find technical and financial resources. The site www.usda.gov/organic creates a one-stop-shop. For Rhode Island farmers, ranchers and processes the Organic Certification Program is administered by Matt Green at the Plant Industry Section of the Rhode Island Department of Environmental Management’s Division of Agriculture and Resource Marketing. To see a list of Organic Certifiers sorted by state of operation HERE. 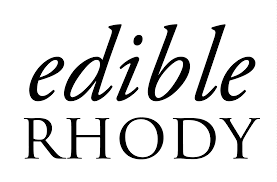 The application fee for organic certification from the State of Rhode Island for the crops producer, livestock producer and handler categories is $200.00 per operation per category per year, regardless of the number of categories of organic or transitional certification. RI DEM offers a cost share program through USDA to reimburse 75% of organic certification fees, up to $750. Learn more and apply for Cost Sharing here. National and state regulations apply to organic growing and certification. Certified Organic Growers may use only material which have been approved by their certifier and listed on their approved organic farm plan. Inputs which certifiers determine as acceptable for use in organic farming are those approved by the Organic Materials Review Institute (OMRI), the EPA (for organic use) or by other USDA-accredited certification agencies. View the most recent list of OMRI-approved products here. Producers, handlers and processors with gross income from organic agricultural products over $5,000.00 annually must be certified by a USDA-accredited certifier. Small operations may be exempt from certification but must still comply with all production, handling and record-keeping requirements. View NOP regulations here. 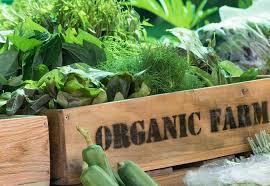 Certified organic fields have been managed organically for at least three consecutive years. Transitional fields have been farmed organically for at least twelve consecutive months. Produce or meats raised on a transitional field may not be represented or marketed as organic and may not be used as organic ingredients in other products. These four guides describe organic requirements, best practices and explain the National Organic Program (NOP) and certification process. Click the links below or for general information, click here.